Live at the historic Marriage Equality Supreme Court Case Victory Party, July, 2015. 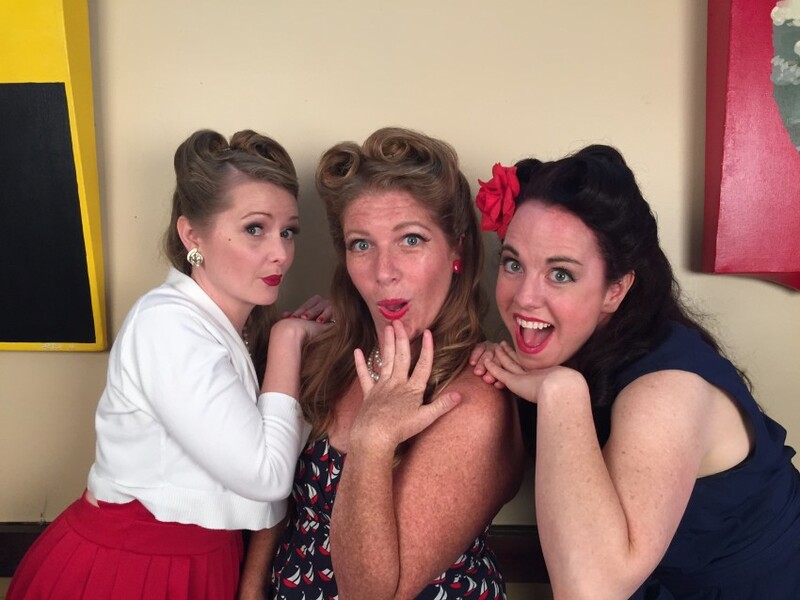 A supergroup of Louisville musicians, Brigid Kaelin, Laura Ellis, and Susan Crocker can sing Andrews Sisters-style 1940s-1960s tunes at your event with a full band (or accompanied by backing tracks for shorter appearances). The Birdies can also perform a beautiful a cappella version of the National Anthem for historic events. We are willing to travel, but require travel expenses and accommodations. We can show up to your birthday or anniversary party and surprise your guests of honor with a few songs. 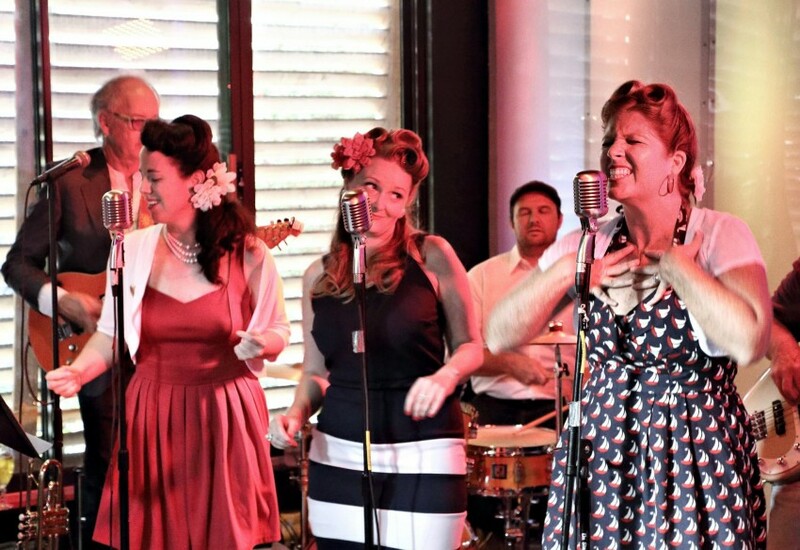 We are often hired to attend events in our vintage attire and mingle with guests, then sing a few songs either with the house band or to pre-recorded instrumental tracks. We also have a 3-piece backing band for larger budgets. 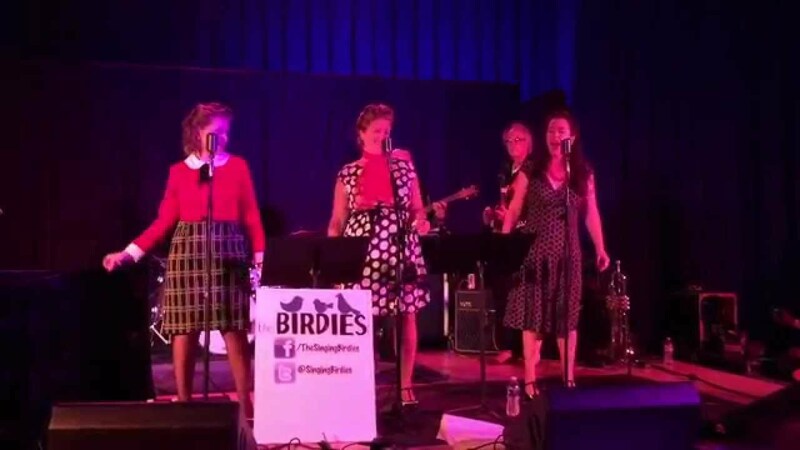 Louisville-based The Birdies are a "supergroup" of local musicians -- between them they can play at least ten instruments, though they are perfectly happy to sing Andrews Sisters-type harmonies to backing tracks or a backup band depending on the gig. Brigid Kaelin has appeared as a musical guest on NPR's "A Prairie Home Companion," has sold several thousand albums, and has played accordion and piano and musical saw for many other musicians, including Elvis Costello. Laura Ellis is an award-winning radio producer, and fronts the Louisville's 3-time-winning "Best Cover Band," the Billy Goat Strut Revue. Susan Crocker has played trumpet in various local bands, but you've mostly seen her on the stage of Louisville's award-winning theatre scene. 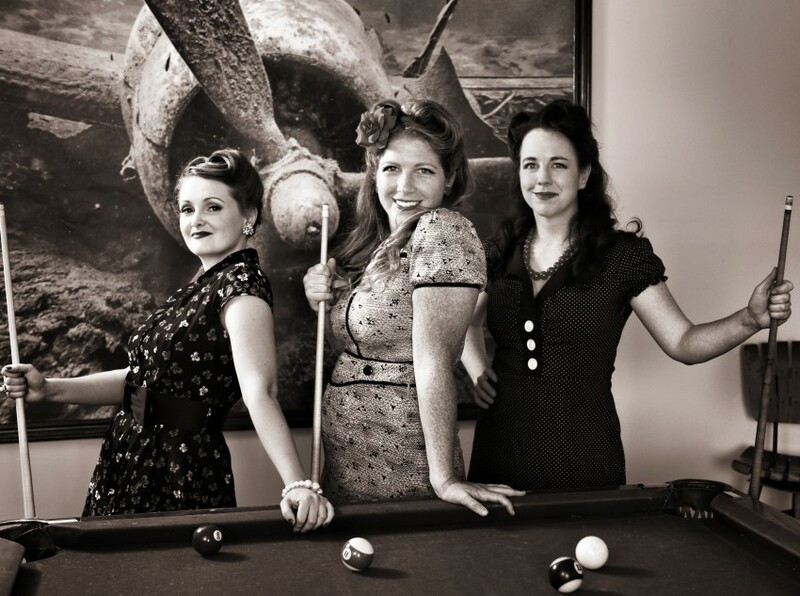 They formed The Birdies in 2015, sharing a love for vintage harmonies and having always wanted to work together. Louisville immediately embraced them, and they have already made four appearances on WFPK and have been very busy with private events.